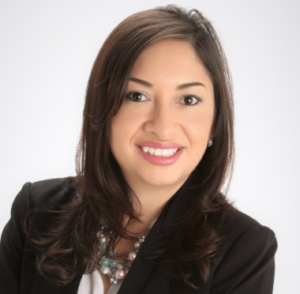 Karla Hernandez DeCuir is the Senior Director of Enrollment Management and External Affairs at University of Houston Victoria in Katy where she oversees the recruiting efforts in the Houston market for the University, as well as all external affairs and strategic partnerships for UHV Katy. She is also the founder and President of Student Guidance Group, a 501(c) (3) non-profit organization focused on providing career guidance, mentorship, and professional skills development to high school students. Her background includes 17 years of business development, management, marketing, and external affairs. She was born in Guatemala City, moved to the United States at the age of 12, and was raised in New Orleans, Louisiana. She began her professional career working for Nextel Communications in 2001, where she soon moved up to store manager and business development. In 2005, she moved to Houston, where she continued to work for Nextel Communications assisting franchises in business development ventures. In 2007, she joined University of Phoenix where she served as a Recruiter, Enrollment Manager, Regional Enrollment Manager, and Community Development Specialist for the Houston market. In 2015, she received the University of Phoenix President’s Award. In 2016, the Texas Diversity Council recognized her with the Diversity FIRST Award. She is a 2016 graduate of the Houston Hispanic Chamber of Commerce Business Academy. Her educational background includes a Bachelor’s degree in Marketing with a minor in Management from the University of New Orleans. An MBA and a Master in Management with a concentration in Human Resources Management from the University of Phoenix, and she is currently enrolled in the Executive Doctor of Education in Professional Leadership with an emphasis in Special Populations program at the University of Houston. She currently serves as a board member of the Katy Technology and Education Foundation and previously served as a board member for the National Association of Women MBAs Houston Professional Chapter. Karla has served as a Greater Houston Partnership Ambassador. She currently Co-Chairs the Education Committee of the Texas Diversity Council, she chairs the Texas Diversity Council’s annual Young Women in Leadership Symposium, she chairs the Katy Economic Development Diversity Taskforce, she serves on the Katy Economic Development Leadership Committee, and she serves on the West Houston Association Education and Workforce committee. She is passionate about education and about empowering young women to step up to leadership roles. Karla lives in Katy where she enjoys time at home with her husband and her two young children, Nailah and Ramsis.